Good things do come in small packages. Like FrSky’s latest flight controller. With a built-in R-XSR receiver and 20mm x 20mm mounting holes makes it perfect for a clutter free micro quadcopter build. The RXSRF3OM is Betaflight OSD integrated and Smart Port enabled, which means it supports full telemetry. Get ahead of the curve with the next game changing transmitter from FrSky, the Taranis X-Lite. This revolutionary radio blends the functionality and reliability of FrSky Transmitters with a compact Game-Style controller.The X-Lite is ergonomically designed, featuring 4 switches and 2 sliders, which means you can still fly your Fixed-wing models as well multirotors and helicopters. Compact in size means you can take it virtually anywhere. It features a Haptic Vibration Feedback System along with the voice and sound alert warnings.The X-Lite has the smoothest control possible the pre-installed high precision M12 Lite hall sensor gimbals. The easy to access battery bay allows for a quick, worry free battery swaps. The X-Lite runs on the familiar OpenTX software and the model memory is expandable with the addition of your own micro SD card. 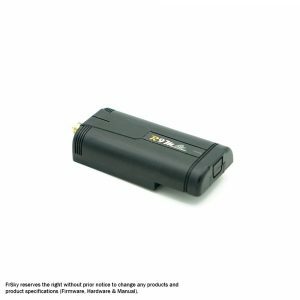 Like all of our new transmitters it has a wireless feature that lets you link up wirelessly to other FrSky radios for training, additionally it can link up to the FrSky FreeLink App for monitoring telemetry and configuring receivers.Long range is an option with support of the upcoming R9M Lite 915/868MHz module. Other features include Receiver Match, Real-Time Flight Data Logging and Super Low Latency for competitive flying. Overall this Radio has all the features of its predecessors in a smaller package at an unprecedented value. The FrESC32_80A is a high power ESC with a 32-bit microprocessor and supports multi Dshot signaling. The optional 12V and 5V SBEC helps save space by eliminating the need for an external PDB for powering accessories like camera and VTX. 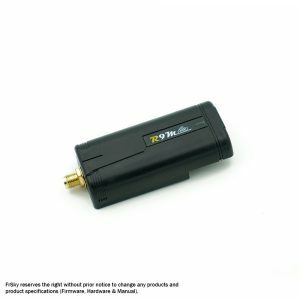 Like other FrSky products, the FrESC32_80A has a Smart Port and supports the telemetry function. The FrSky Redundancy Bus – 20 (RB-20) is a switchboard module that can operate 2 receivers and 2 batteries to provide you with total peace of mind when flying your models. The RB-20 has a higher operating current and supports high-current servos, when previous redundancy products did not. One of the best upgrades on the RB-20 is that it can switch telemetry automatically between RX1 and RX2. Like other redundancy products, you can run your servos from the switchboard with complete protection from high voltage overload. The RB-20 also supports Smart Port telemetry for your FrSky transmitters and will provide telemetry feedback for voltage and overload indication.